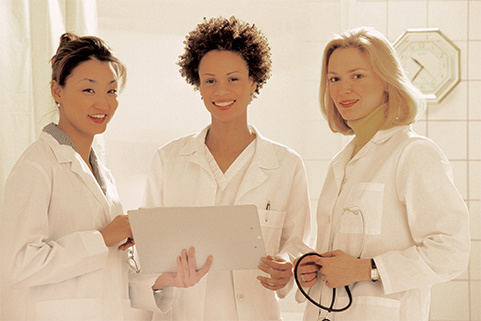 AMS is a professional medical staffing service. We cover staffing shortages from one day to one year and customize our services to your specific needs. We offer our medical staff flexible schedules, per diem or contract, referral bonuses, and more! Let me introduce you to ADVANCE MEDICAL STAFFING, your professional medical staffing solution! We have been in business for over sixteen years. The experience that we have gained recruiting and placing quality medical professionals enables us to meet the constantly growing and changing staffing needs in the healthcare industry. With our trained staffing specialists, we can provide your facility with timely, cost effective coverage to relieve the pressures of patient overload or personnel shortages. In a perfect world, there would be no staffing shortages. However, in the real world it is reassuring to know that Advance Medical Staffing is there to work with your facility toward a common goal; quality patient care. ADVANCE YOUR CAREER BY TAKING IT IN A NEW DIRECTION. We have shifts all over the metro with the highest wages! Are you ready for an exciting career in nationwide travel, contact us now! Advance Medical Staffing is an experienced staffing agency that can accommodate short-term & long-term assignments. Locally operated to better serve you! © 2019 Advance Medical Staffing. Website by Jennifer Web Design.